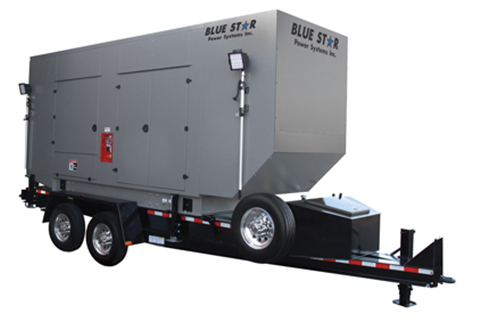 We offer Blue Star diesel portable (mobile) generators from 40 – 600 kWe for any application required. Every model is emissions compliant for non-road use. With reliable power and low operating costs, these units are ideal for rentals, peak shaving, and any application that requires versatile and convenient power. All units come equipped with a variety of powder coated enclosures and rugged steel constructed DOT certified trailers. Our commitment to fuel efficiency, and current EPA emissions standards provide you with the most technologically advanced, environmentally friendly unit available. All units are UL 2200 Listed, CSA Certified, & Seismic Certified to IBC 2012.